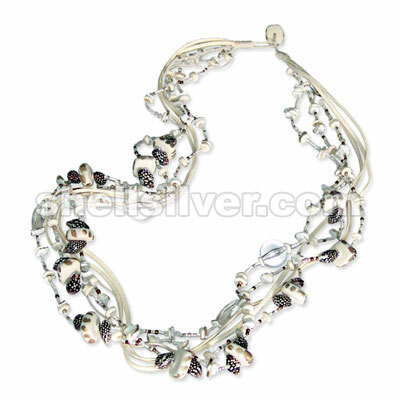 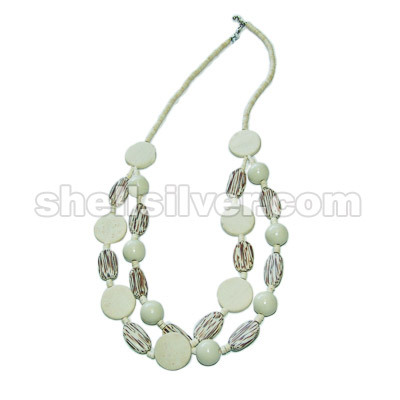 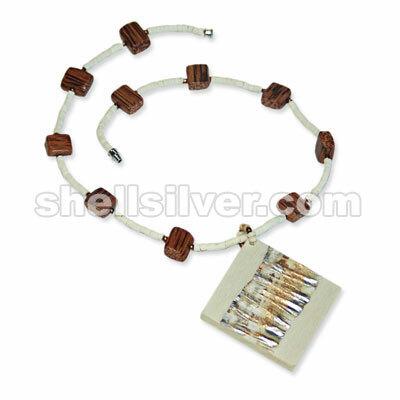 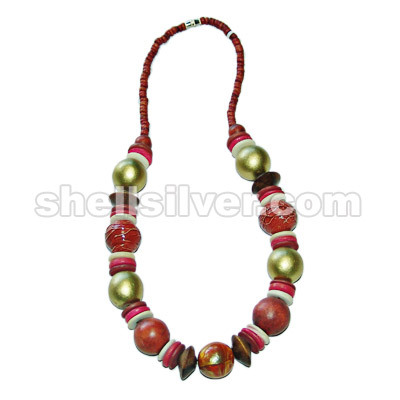 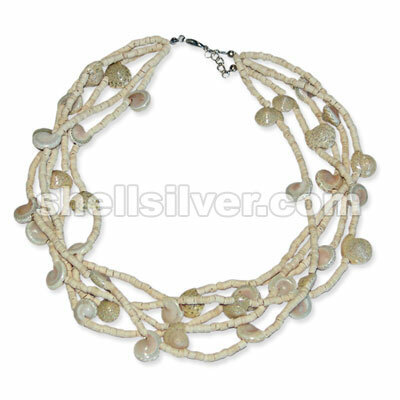 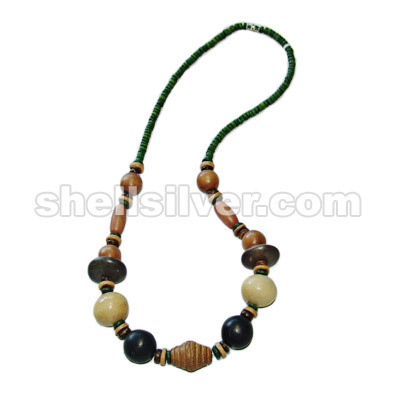 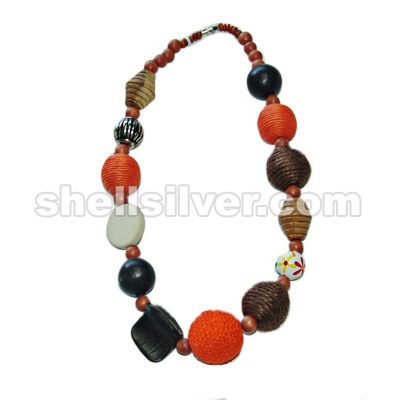 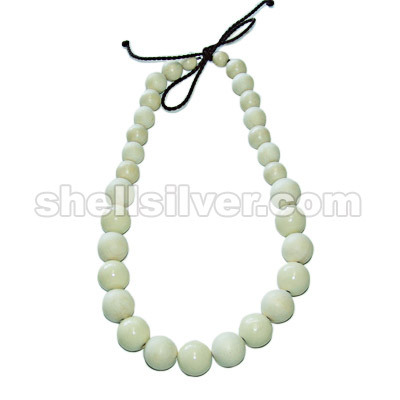 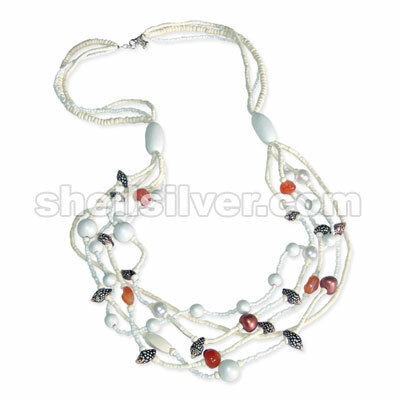 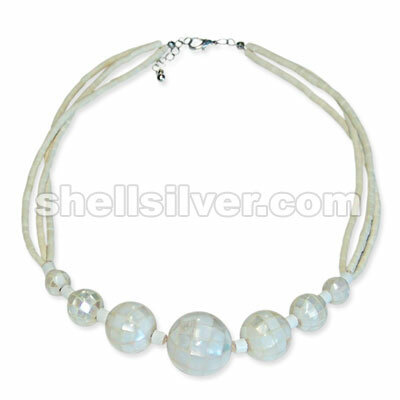 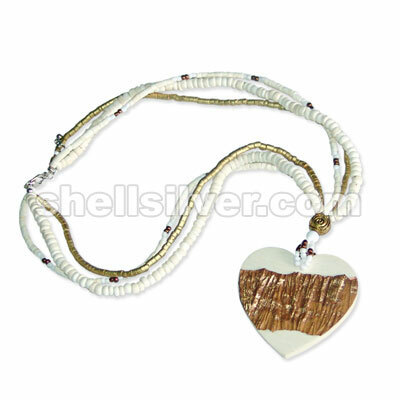 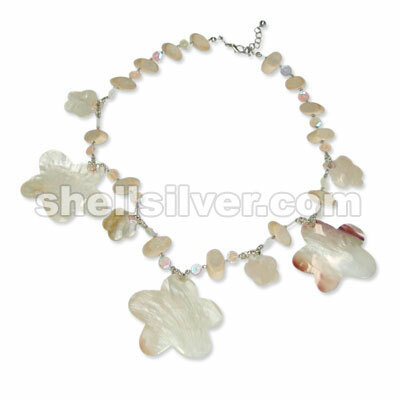 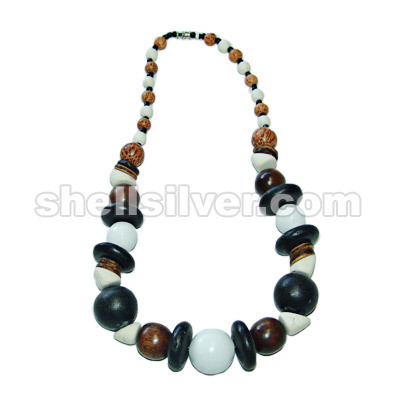 Necklace 16" 3rows in 2-3mm wood heishe super bleach & 4-5mm wood heishe painted white w/ 10mm, 12mm more..
Necklace 34" 5rows in 2-3mm coco heishe super bleach, 4-5mm coco pukalet super bleach, 3mm glass bea more..
Necklace 18" 3rows in 2-3mm coco heishe gold & super bleach, 4-5mm coco pukalet super bleach, 3mm gl more..
Necklace 16" 5rows in 2-3mm coco heishe bleach white & life saver shell fashion jewelries high quali more..
Necklace 16" white wood slide cut, 2mm glass beads clear white, sequence rainbow, hammer shell flowe more..
n-lace in 6mm gray wood w/ 3 rows on center using squarecut blackpen, 8mm robles beads & robles stic more..
Necklace 34" 7rows in 1mm wax cord cream, 3mm leather suede cream, 7-8mm coco pukalet super bleach, more..
Necklace 18" in twisted cord white, cut sigay, khakis shell ring, 15mm wood pukalet super bleach, ac more..
Necklace 16" 5rows in robles wood tri. 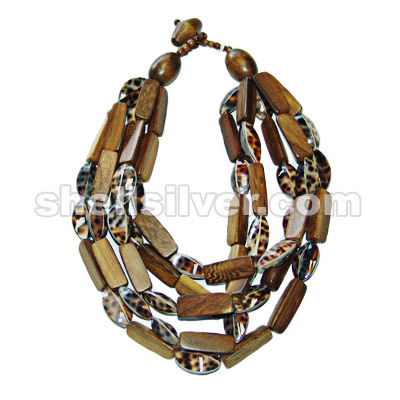 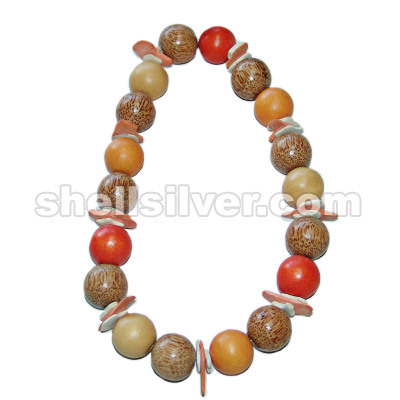 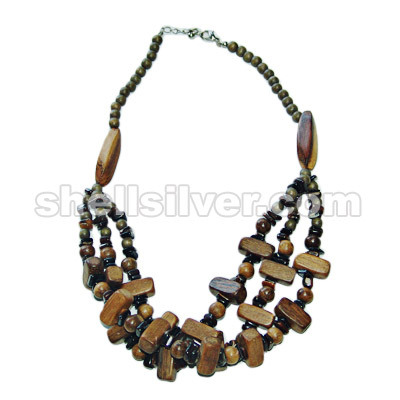 13x32mm & tiger courie 4 sided fashion jewelries high qualit more..
Necklace 30" 2rows in 4-5 coco heishe super bleach, 30mm wood flat round super bleach, 20mm wood bea more..
Necklace 20" in 4-5 coco pukalet brown, 15mm coco pukalet brown red & super bleach, 20mm wood bead g more..
Necklace 18" in 4-5 coco pukalet brown,8mm wood beads brown,20mm wood bead black,20mm bead wax cord more..
Necklace 24" in 4-5 coco pukalet olivegreen,10mm coco pukalet nat. 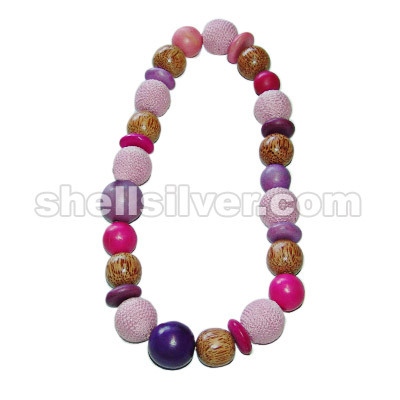 white,8-9 coco pukalet nat.brown more..
Necklace 24" in white garter thread,30mm wood bead dyed blue & violet,15mm coco pukalet pink & blue more..
Elastic necklace in resin irregular shape yellow, assorted wood shape, 15mm coco pukalet black & ceb more..
Necklace in 25x8mm wood mentos dyed violet 2tones,25mm crochet wood beads pink,25mm palm wood beads, more..
Necklace in white garter thread, coco chips super bleach white & orange,25mm wood beads orange 2tone more..
Necklace in braided cord brown,14mm,20mm,25mm wood bead super bleach,25mm wood beads painted cream f more..
Necklace 21" in 4mm chalk beads black,10 & 15mm palm wood beads,7-8 wood beads super bleach,15mm coc more..
Necklace 18" in 4mm antq. 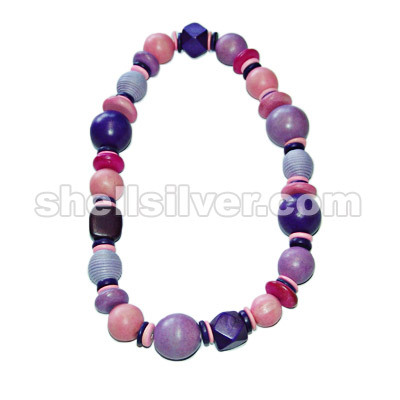 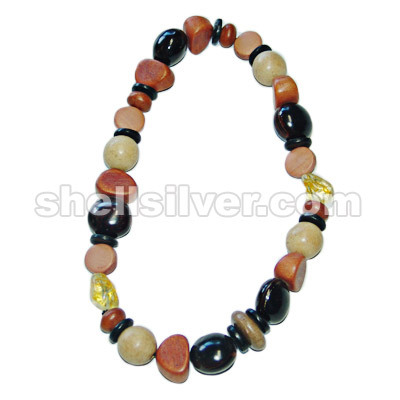 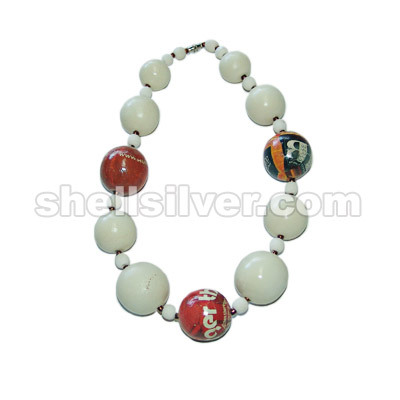 beads, 8mm limestone bead white, 20mm, 25mm & 30mm wood bead painted cream more..